This is the third article in Prialto's Managing Happiness in a Global Workplace series, in which we aim to describe how and why to manage employees so that they are happy, motivated and engaged from a distance. Other topics include feedback loops, gamification with overseas employees and the philosophy of happiness at work in a global context. Though it may sound crass, it is ultimately true that many, many people go to work every day because they get paid. Money is undoubtedly a reason for working, and is often also a motivating factor. But is it what keeps people happy in their jobs? The exodus of lawyers from well-paying jobs at white-shoe firms hints otherwise, at least for the highest end of the US job market. But how do motivations and happiness change when it comes to compensation at a different point in the economic spectrum overseas? We believe passionately about the role of intrinsic motivators championed by Daniel Pink and others. But in light of the economic disparities between the locations from which we operate, we are uncomfortable dismissing the role of financial, “extrinsic” motivators altogether. It’s time someone initiated an honest discussion on the interplay between the two. How Much Money Does an Employee Need to be Happy? Folks like Chip Conley and Tony Hsieh have attracted a renewed focus on “soft” or cultural incentives over financial ones. It does indeed seem that workers begin to find more motivation from intrinsic values at a surprisingly low threshold of economic security. Here in the U.S., researchers have put that number at $75,000. After that baseline, people apparently show very little increase in happiness despite being paid more. Even below the magic number, happiness doesn’t necessarily increase in the same proportion as your salary. For example, someone who makes $50,000 a year isn’t twice as happy as someone who makes $25,000. And that latter measure of happiness is true whether you’re in Beijing or Birmingham. What’s more, most of us assume that making more money will make us happier because we’ll be able to afford our creature comforts - finally buying that new car or the bigger house, for example. But happiness doesn’t seem to be linked to that at all. In fact, people tend to be happier when the money is spent on other people. So the stated desire of many of our overseas workers – to get a job with an American company so that they can better provide for their families – isn’t particular to just those cultures. Our American workers find happiness in the same way. 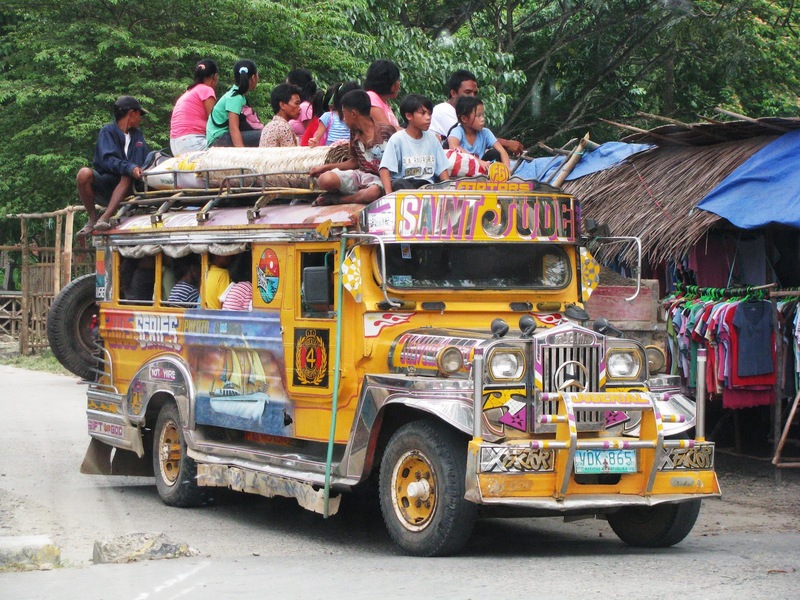 This is what the commute to our Manila service center looks like for many of our employees. Is that fair? Still, here at Prialto, we aren’t entirely comfortable simply accepting the current, potentially self-serving dogma of happiness while we, arguably, reap the benefits of an inexpensive Philippine labor force. 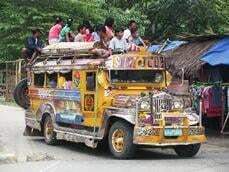 Is it honest for us to hang our hat on Maslow to justify the wage gap that makes it possible for us to drive luxury cars to work while our PAs ride crowded jeepneys? We say that we pay “market,” more than enough to cover the “baseline” financial needs of our workers, but then how do so many US companies justify expat packages for Americans in the same countries? To add to the complexity here, it’s culturally very difficult to figure out how much money is enough when you’re working cross-border. When the person setting the salary is sitting thousands of miles away from the person making it, there’s none of the water cooler chit-chat. You never hear about Joe’s son’s surgery or Mary’s second job. Financial roadblocks that would be easy for a good manager to identify and address onsite become unknown challenges in a remote work setting. Furthermore, the economic laws of Purchasing Power Parity and a variance in expectations relative to rewards often make it hard to disentangle who is reaping greater rewards for their effort. True, most of our HQ workers drive nicer cars than do our solidly middle class PAs in Guatemala (but, yes, most of our Guatemala PAs do drive cars!). Still, on the other hand, Guatemala wages afford our PAs access to more domestic help than our US wages. When one sleep-deprived HQ worker once complained about having been up at night changing a baby’s diapers, a Guatemalan PA and mom of several children explained that her full-time nanny help meant that she never had to deal with such nocturnal duties. Regardless have how one might disentangle these nuances, we don’t try to focus on what is enough. Instead, we focus on what we can give our employees in addition to the baseline “market” rate of pay. We hope that we have the money side of things covered, but for those who need more than just the cash to be happy, we promise to bring them more than a paycheck. Here’s how. Professional Development: Hiring overseas employees for knowledge work allows us to pass on real skills and transferable expertise to a workforce where those things were otherwise lacking. Many of our employees come out of a robust call center industry in their countries. Often, those jobs involve reading off of a script and spending the day being chewed out by unhappy customers. Though our compensation package may be similar to this industry, we add on a layer of knowledge training that is unparalleled in the field. In teaching them to fish instead of serving them dinner, we are preparing them for higher-paying future positions – whether at home or abroad. By focusing on their mastery, we strive to accomplish Daniel Pink’s happiness goals. We believe our model offers workers a more solid position in the rising, global middle class than does traditional call-center work. Creating Careers: Related to the professional development opportunity, we offer a career ladder to our employees within our own company. While Maslow’s baseline economic needs are the foundation for his pyramid, employees need to know that there is room to grow and earn more (if that’s what they want to do) for them to be truly motivated. We lay out our corporate structure and the structure of each office in a very transparent way, so that employees have something to aspire to, or, as Daniel Pink puts it, a purpose to drive them to happiness. Personal Branding: Prialto puts a strong emphasis on our people. We refuse to refer to our assistants as virtual. We use their photos and their real identities to refer to them. Detailed bios on each person are available on our website. We train incoming employees on maintaining a LinkedIn presence. We help employees both create and promote their personal brand and their skill sets, and we give them the autonomy to do so. One last aspect of compensation that we hope to add to our program is financial training. To add to the value of their paychecks, we’d like to teach our employees something they didn’t learn in school – financial literacy. That would ensure not only that we’re paying at the highest rate, but also that we help our workers understand how to use and apply that money efficiently for their personal goals.